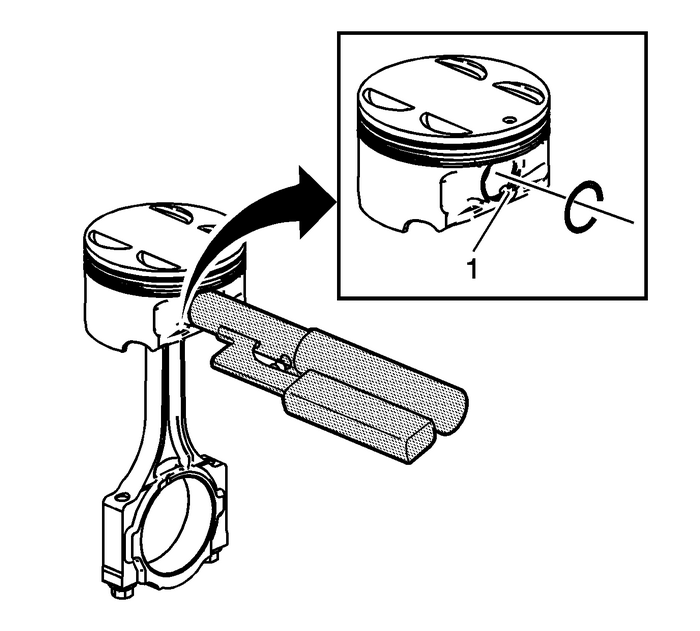 Caution:You must use a piston ring expander to remove and install thepiston rings. Only expand the rings far enough to fit over thepiston lands. If the rings are overexpanded, the top ring willshatter and the others will distort. Remove the piston rings using a piston ring expander. Placeeach ring in a clean shop towel for storage. 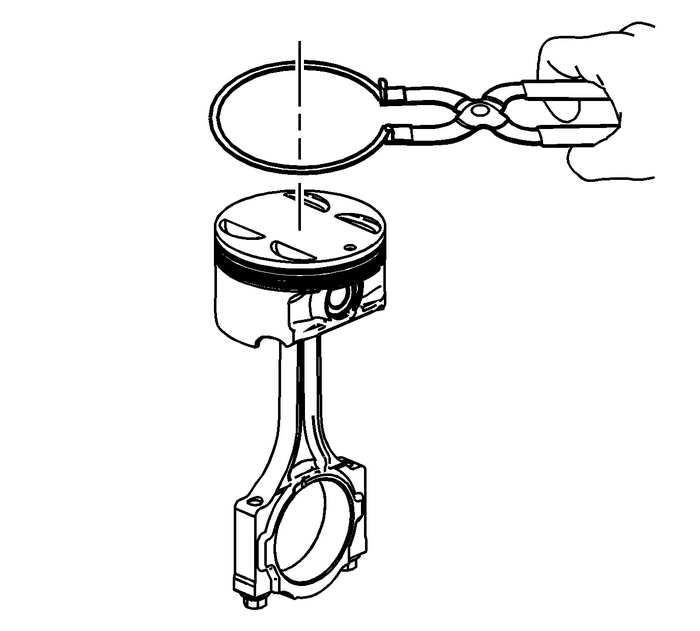 The connecting rod is non-directional and may beassembled/reassembled to the piston in either direction.DO NOT reuse the piston pin retainers.Using theEN-46745remover/installer, remove the piston pin retainers by using the removalaccess notch-(1) in the side of the piston. Discard thepiston pin retainers. Slide the piston pin out of the piston. 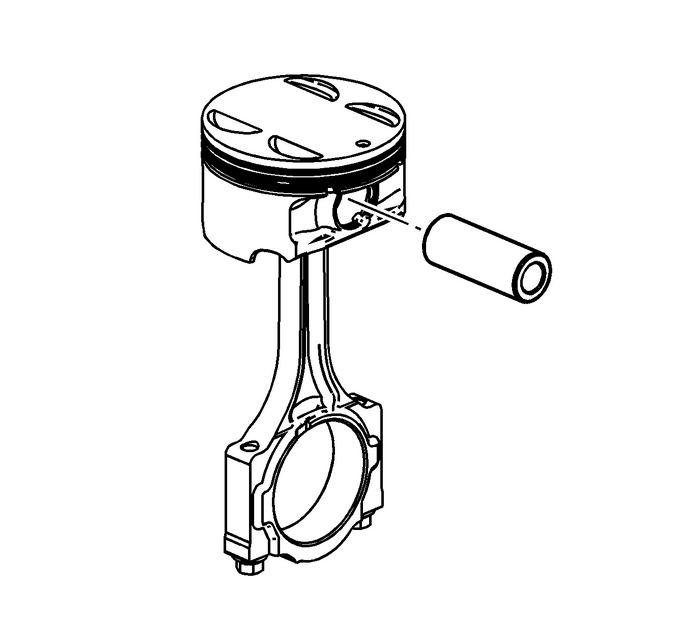 The piston willdisconnect from the connecting rod.